The Damned United follows Brian Cloughs whereabouts from Derby til Leeds and then to Brighton. 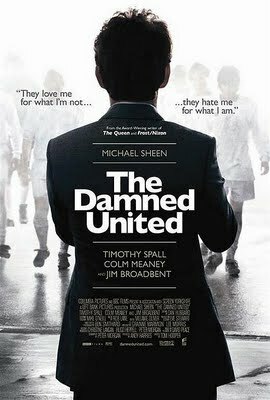 This must be one of the best movies about football that is around. Haven't read the book so I don't know or are familiar with the real story so I leave that to others to discuss but what I can say is that it's a brilliant film with a brilliant cast. Michael Sheen as Clough is one of best performance for a long time. The 44 days in Leeds must have been the longest days in his life, and 44 days to many! I give it 9 out of 10!